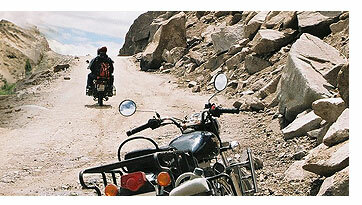 Motorcycle rental, bike tours, Motorcycle Tours, Favorite Motorcycle Tour in India. of the earth that massifs as majestic.. Welcome to India on Bike - A company which works for customer’s satisfaction. We always try to provide more than customer expects. 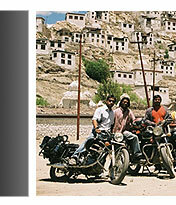 India on Bike is a Company of travel Professionals from India who have experience of more than a decade in providing tour services like Tour Packages, Hotel Booking, Airport Transfer, Transportation etc. 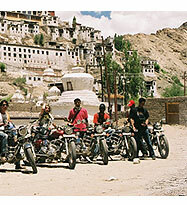 We have expertise in arranging Biking tour packages for all over India. India is a vivid kaleidoscope of mini-world. India's amazing diversity of culture, heritage, architecture, landscapes, snowcapped mountains, golden beaches, roaring rivers, lush green forests with its wildlife sanctuaries, sand-dunes, offers you everything you could ever want in a holiday. The moment you step foot in India, you will be greeted by a graceful Namaste, a gesture that denotes both welcome and respect, you are on the way to one of the most rewarding experiences of your life.